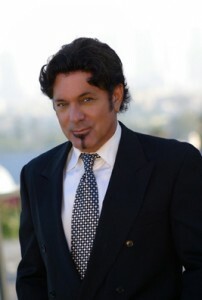 Grant Taylor is a Grammy nominated singer, songwriter, vocal coach, producer, and owner of Grant Taylor Record Company. Grant Taylor Studios was created in 2001 to assist the creative artist in his or her search for excellence. Coaching and producer services for performing artists at every level of the music business are available. I have also started a record level for a few special artists. I hope you love them too. As a singer, early in my career, I found I needed increased range and stability to perform the rock songs I was then doing. I developed the OneVoice™ Method exercises which strengthen, stabalize and expand your voice. Once you understand how your voice works and develop it, you can be assured that you will always have it available to perform. Injuries to your voice and lack of technical finesse are a thing of the past. I also know that your ability to be true to yourself and to not imitate other artists, is essential for your music career. You are a unique human being with specific artistic talents. Together we will open those doors and bring out the things about you that are compelling and special. Producer services include pre-production planning, choice of songs and keys, arrangements, microphone selection, musicians and studio set up. Your producer is your ally in making your artistic vision come to life.